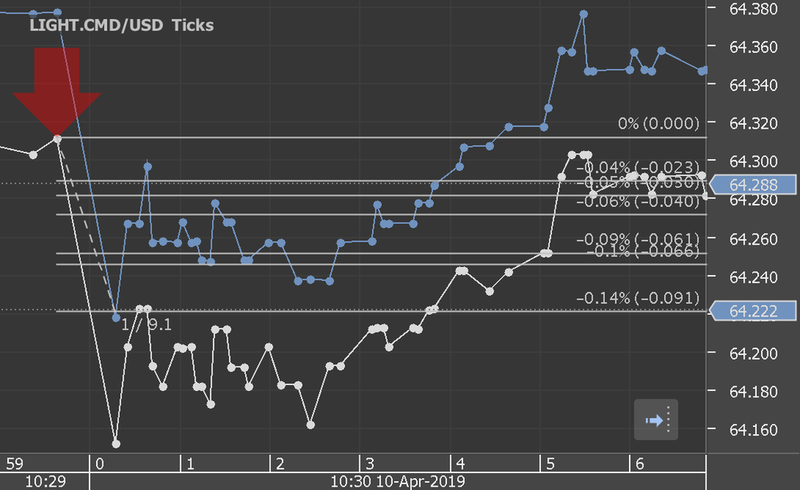 According to our analysis crude oil moved 14 ticks on DOE Petroleum Status Report data on 10 April 2019. Start forex fx news trading with Haawks G4A low latency machine-readable data, the fastest data feed for DOE Petroleum Status Report data. 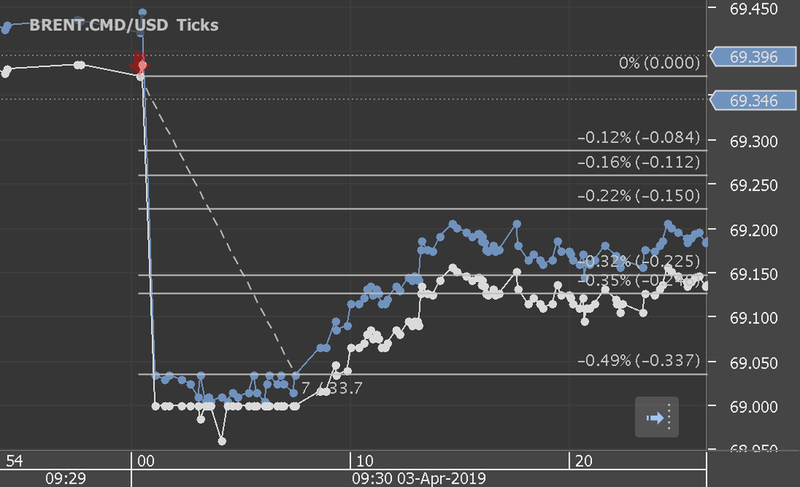 According to our analysis crude oil moved 33 ticks on DOE Petroleum Status Report data on 4 April 2019. 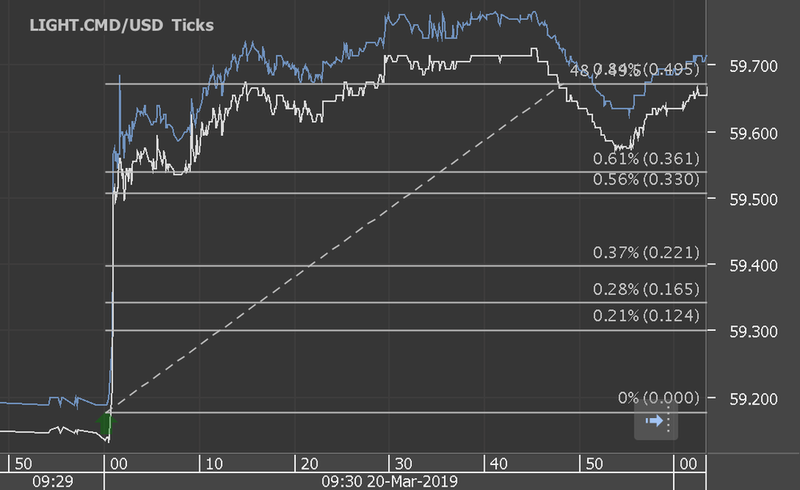 According to our analysis crude oil moved 14 ticks on DOE Petroleum Status Report data on 27 March 2019. 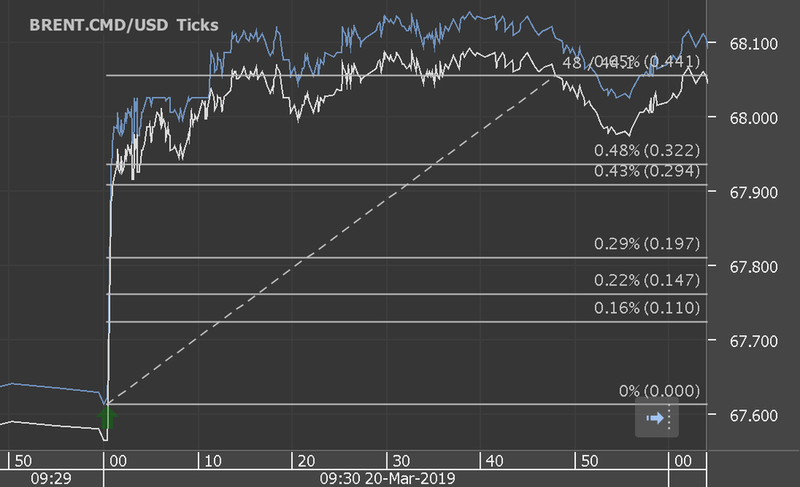 According to our analysis crude oil moved 96 ticks on DOE Petroleum Status Report data on 20 March 2019. Start forex news trading with Haawks G4A low latency machine-readable data, the fastest data feed for DOE Petroleum Status Report data. According to our analysis crude oil moved 138 ticks on DOE Petroleum Status Report data on 11 July 2018. It was the single biggest move in 2018. Start forex news trading with Haawks G4A low latency machine-readable data today. 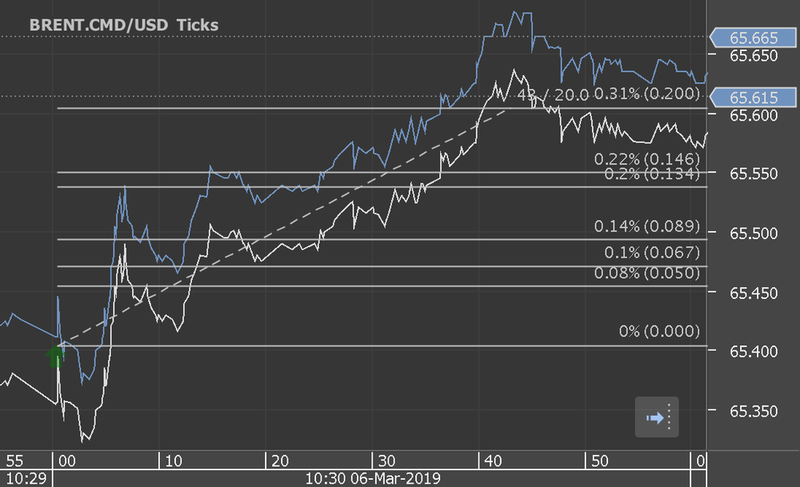 According to our analysis crude oil moved 42 ticks on DOE Petroleum Report data on 13 March 2019. 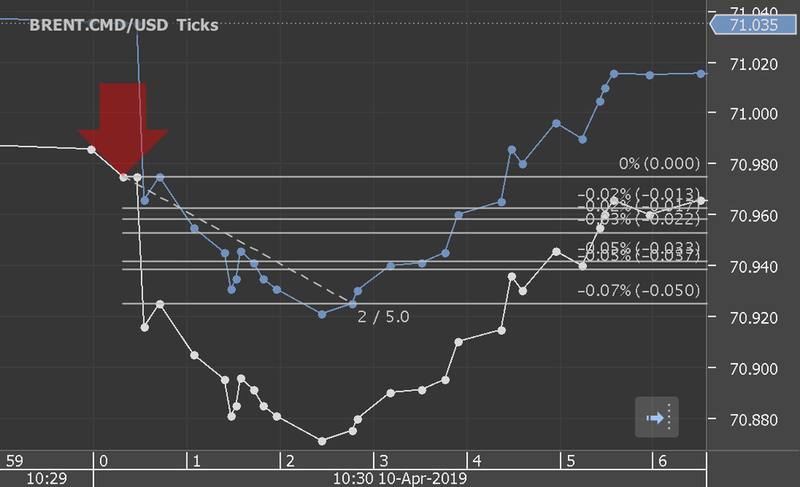 According to our analysis crude oil moved 20 ticks on DOE petroleum data on 6 Mar 2019. 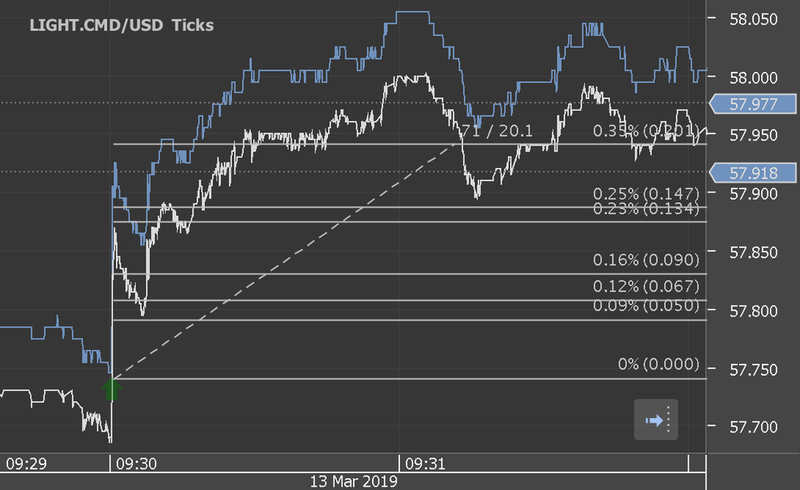 According to our analysis crude oil moved 65 ticks on DOE petroleum data on 27 Feb 2019. According to our analysis crude oil moved 20 ticks on DOE petroleum data on Feb 13th. According to our analysis crude oil moved 88 ticks on DOE petroleum data on Feb 6th. 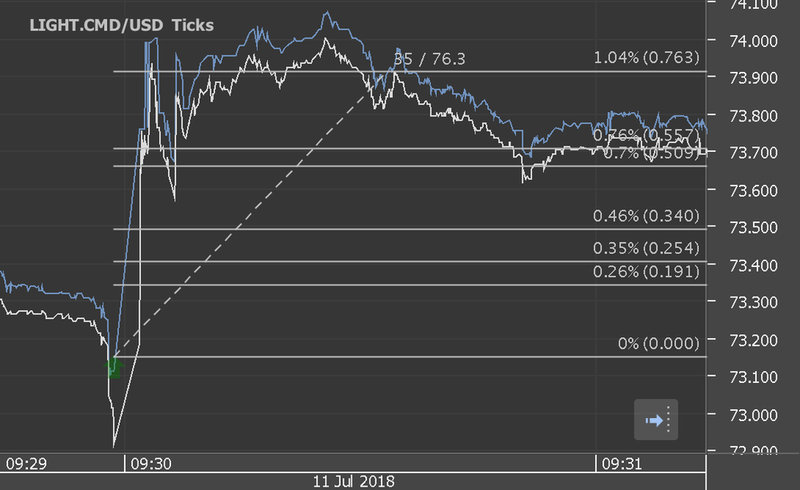 After 2 minutes there was the first significant reversal which would still have cashed in 46 ticks.